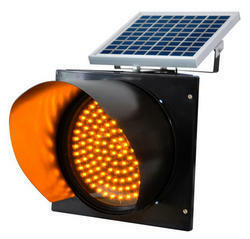 Offering you a complete choice of products which include tfx-100-s solar blinkers and tfx-100-z solar blinker. LED based "SOLAR BLINKER" is highly reliable and designed for 24X7 operation to alert the road users at the intersections / U- turns. These blinkers are used at accident vulnerable locations, diverging points, unsigned intersection, turns, blind spots, school zones etc. to warn the motorists to slow down and to avoid accidents. h) Day Time will glow in Full mode and Night Time will glow 50% Dimming. Usage/Application Highway Intersections,at Accident Prone Zones,at Railway Crossing. Application Highway intersections,At accident prone zones,At railway crossing. 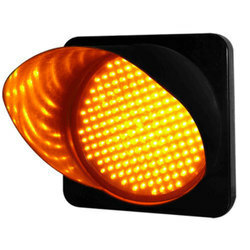 Looking for Traffic Lamp ?